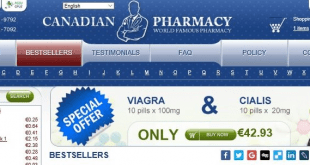 An online pharmacy based in Canada, PharmaWebCanada.com sells both generic and brand name drugs to customers from all over the world. At the moment, there are over 3000 listed drugs offered by the website. The website claims that all of these drugs are quality approved by regulatory authorities. Thousands of customers have taken advantage of the provided medications of this online pharmacy. It is mostly because they they offer listed drugs that are 40 to 90 percent priced lower than those offered by other local pharmacies in the US. If you are looking to purchase medications from this online pharmacy, you would be pleased to know that you can get up to 90 days worth of supply from them. Before you can receive your order, PharmaWebCanada.com claims that their in-house professional doctors would review it for your safety. You would also be surprised to find the competitive prices of the prescription drugs offered by this online pharmacy. 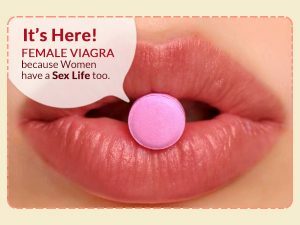 Let’s say you are looking to buy 100mg Viagra. You can get the brand name at only $15 per pill, and the generic one at $5.25 per pill. The website also has a feature that allows you to compare the prices of different brand names and generic drugs. They offer a unique type of customer service to their clients. They would ask for your contact information and ask for the appropriate time they could reach out to you, instead of you calling them. You may also opt to contact them through email or live chat. For orders, you can pay through credit cards (Visa and Mastercard) and eCheck. There are only a few websites and online forums that provide feedback and reviews about PharmaWebCanada.com. Overall, the feedback and reviews are a mix of positive and negative ones. Some customers say that they have been happy with the service, they have been buying from the website for years, and that they haven’t experienced any problems so far. However, others complain that the website does not comply with the standards set by NABP, emphasizing that it is not safe to purchase medicines from the website. Because of these negative feedback, the website is can be generally considered suspicious or spammy. Also, if you’ll the ratings provided by scam alert websites, you’ll find that they have rated PharmaWebCanada.com poorly, mainly because of trust issues from customers. The National Association of Boards of Pharmacy (NABP) do not recommend the online buyers to use this website as it is considered as a rogue pharmacy. 2014 has been a good year for this online pharmacy as it gained more positive feedback from customers this time. One customer mentioned that he has been using the website for more than a year, and the whole experience was good so far. Also, he said that his medication is expensive, but he is now able to afford it with the help of PharmaWebCanada.com. Another customer was surprised to find a lot negative reviews of the website has his overall experience with the website was very pleasant. He even rated the website 5 out of 5. – Free Shipping – For each order you make, the shipping fee is only $8. But when your purchase is worth more than $99, then you can take advantage of the free shipping option. – International Generics Program (IGP) – If you are looking for cheaper versions of the drug brand names you are familiar with, you can never go wrong with purchasing from PharmaWebCanada.com because they offer generic counterparts. When you search on the website, you will find a price comparison of both brand and generic versions. – Coupon Codes – At the moment, there are no valid coupon codes available. Looking at the website’s design, it’s not very attractive, especially when you compare it with what other online pharmacies have. The upside is that the website is user-friendly and easy to navigate, especially when comparing prices of generic and brand name drugs. Also, the broad range of medicines alongside the low prices serve as an advantage. Although there are positive reviews about the site, the negative reviews cannot be disregarded. It is worth noting that there are customers who claim the website is not NABP recommended, and that buying from it can be quite dangerous and risky. Overall, the website looks pretty decent but its legitimacy is in question. For these reasons, we are giving PharmaWebCanada.com a 3 out 5 star rating.